We'll help you to develop the academic skills that you need to do well on your course. As an undergraduate or foundation year student, you'll be matched with a Personal Tutor for tailored support related to your course. Your tutor will meet with you regularly and answer your questions throughout the year. - Maths and numeracy including statistics. You’ll find Student Learning Assistants - experienced students from the years above - in your seminars, workshops and small group sessions. Their personal experience means they understand some of the challenges that you might face so they can help you to learn. You can also get support at drop-ins and online from our Graduate Academic Assistants, who also studied your subject at Middlesex, and work alongside staff. Book onto training sessions and one-to-one tutorials to learn skills like referencing at an advanced level. Dogs Maisie and Winnie are here to support you as an integral part of our teaching team. They work with your department to find ways to help reduce your stress and anxiety. They might come to your classes or there are also weekly drop-in sessions where you say hello to them. Sometimes there are things happening in your life outside university that make studying more difficult. Sometimes it’s your course that you find difficult. Whatever your personal challenge, we have a special team who work with you. They'll help you progress to the next year of your course and go on to complete your degree successfully. You must be able to write and speak English to a high standard to study at Middlesex. If you're not at that level yet, we’ll help you to improve with English language teaching before and during your course. If you weren’t educated in an English speaking school then you'll need to show that you meet our English language requirements. Pre-sessional Academic English courses - get to our required level of English and build your confidence so you’re ready for your degree. Intensive IELTS preparation course - tuition in reading, writing, speaking and listening and focus on the skills that are tested in the IELTS exam. International Foundation Programme - a year-long academic course to prepare you for study at a UK university including English tuition. You can continue to improve your English skills while you study with us with free workshops and one-to-one tutorials. If you've got a condition that affects how you can study then we can put support in place for you. Confidential advice on adjustments for your course and special provision during examinations. Support your application for funding, including Disabled Students' Allowance for students with a learning difficulty, health problem or disability. Get in touch if you are thinking about studying at Middlesex and would like to talk to a disability advisor. 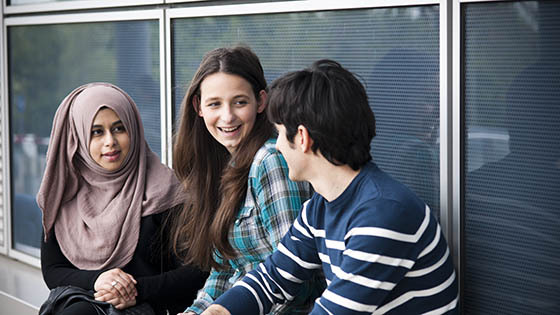 The North London Regional Access Centre is an accredited centre offering support for disabled students in higher education that's based at Middlesex. We’ll help you deal with any financial, practical, or legal difficulties that come up when you’re studying at Middlesex. We can give you one-to-one support through appointments, phone calls and email as well as online and printed information and workshops. Our advice is confidential and we won’t judge you. If we can't help you, we will point you in the direction of external services that can. Get in touch with our team if you have questions before you start with us. Our free confidential counselling service can help you with personal, practical, academic, or financial issues. We make sure that you have the information and advice you need help to you through these times. We give one-to-one counselling sessions and group workshops. We will also give consultations and refer you to other specialists. Our nursery provides early years education and full day-care for children aged six weeks to five years. We take a principled approach to young children's care and education, with an emphasis on parental involvement and collaborative working. Our students and staff come from all over the world and we celebrate lots of different religions. We have a prayer room on campus as well as different places of religious worship in our local area of north London. Middlesex has different religious student societies, run by students through the Middlesex University Students' Union. These include the Christian Union society, several Islamic societies and the Jewish Society. Join us on Instagram, Facebook and Twitter to see what students and staff are doing around campus and get the latest updates on our work.